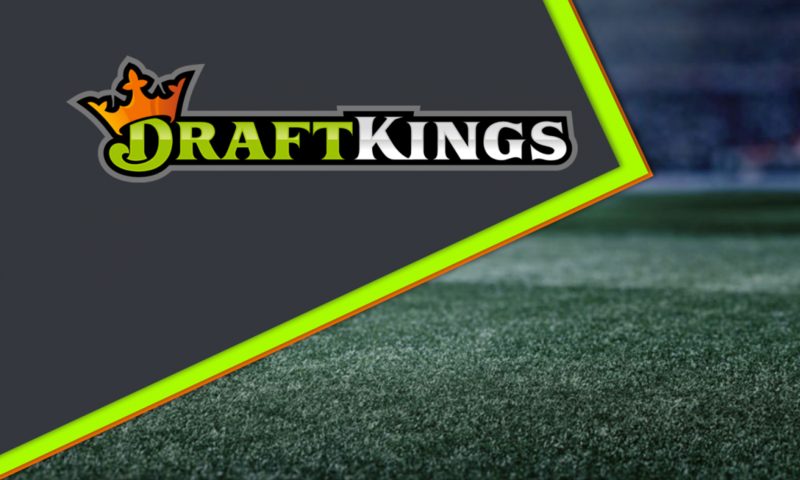 In case you missed it, DraftKings released their pricing last week providing our first glimpse into NFL DFS Week 1, but July is WAY too early to talk about daily fantasy football. August, however? August is just about right. While others turned immediately to the airwaves to break things down, we turned immediately towards the fun stuff trying to release an early version of our Week 1 projections and putting the finishing touches on our new lineup optimizer. We’ll be offering a free preview of our Week 1 projections and lineup optimizer in the coming days, but for now, we’ll settle breaking down a few of our favorite spots to attack, starting at QB. The projections will change A LOT between now and Week 1, but it is still fun to get started. If you see any egregious errors please feel free to light up the twitter mentions of @DrewDinkmeyer and @2Hats1Mike and definitely leave mine alone. With a 51-point game total in New England, many may have expected Tom Brady or Deshaun Watson to crack the top spot, but it is actually Philip Rivers in a home game against Kansas City who is our way too early QB1. At just $6,400 on DraftKings, Rivers will be a popular option in Week 1 with a 25-point team total in a home matchup against the Kansas City Chiefs secondary. The Chargers are projected to run 67 plays and with a heavy run to pass ratio we have Rivers forecasted to crack the 300-yard bonus on DraftKings and throw at least two touchdowns. Rivers projection exceeds 3x value making him a strong cash game option and he could easily hit 4x value if he exceeds his touchdown projection. Ownership on quarterbacks is historically widely distributed on a week to week basis and Rivers seems like a strong play in both cash games and tournaments. In that same game, Melvin Gordon is an exceptional value at RB and if we had to lock in rosters now Gordon at $6,800 represents a value RB1 or RB2 for your DFS lineups. Gordon projects for a 76 percent market share of rushing attempts, 100+ all-purpose yards and a bit under 1 TD. Gordon is not our Way Too Early RB1 though, that honor belongs to David Johnson who returns from a wrist injury and should step immediately into 75 percent of rushing attempts and 20+ percent of targets. With 25 projected touches David Johnson provides a 25+ point projection on DraftKings and is the Way Too Early RB1 against a Washington Redskins team that allowed the 3rd most points to opposing RBs last year. The decision between David Johnson and Le’Veon Bell will be close, but in Week 1 we’ll lean slightly on David Johnson’s side. Saquon Barkley also enters the week 1 mix. His role is difficult to project early in this season, which leads to one of my favorite aspects of our product – the customizable projections. If you believe Barkley will be the 3-down back with target volume approaching 15-20 percent, he rates as a strong value even against the Jacksonville defense. Toggling his marketshare numbers up or down, or decreasing his goal-line work, flows through automatically and lets you craft different scenarios to deal with the unknown. Reducing his workload to closer to 55 percent of rushes and just 10 percent of targets still gives Barkley a 2x floor and a 13.5 point DraftKings projection. DailyRoto subscribers last year are familiar with our affinity for Michael Thomas, and the Saints opening in the SuperDome with a 29.5 team total leaves Thomas as our WR1. Thomas commanded upwards of 30 percent of targets last season and the only thing holding him back from massive PPR performances was finding the end zone. The target volume was still there though, and Thomas should convert more of those opportunities. We covered Philip Rivers above and love pairing him up with Keenan Allen for $7,500 on DraftKings, but we won’t dive into the Chargers more in this article for value. Instead, we’ll look cheaper in salary with two potential pass catchers in Washington in Jordan Reed and Jamison Crowder. Crowder and Reed collectively project for 44 percent of the Redskins targets and while it remains to be seen how the offensive runs with Alex Smith, the prices of $5,000 and $4,000 offer upside, particularly if Patrick Peterson stays on the outside for Arizona. Jordan Reed is a particularly nice value at a tight end position where we like to pay down and has went 3x salary in 10 of his last 18 games. The knock against Reed is health, and he is likely priced down because of his ADP in re-draft formats, but in daily fantasy formats we don’t have to worry about that and if Reed has a full workload he’s the Top Tight End Value on the board. Our NFL Optimizer allows you to easily configure teams for cash games or for tournaments. In tournaments, we strongly advocate for stacking whenever possible, and our optimizer makes it easy for you to choose your preferred stacks. Putting it all together, there are a few stacks we’re interested in for Week 1, starting with a Rivers – Allen stack for the San Diego Chargers. I am fond of game stacking, so bringing it back with Travis Kelce at Tight End or one of Watkins / Hill at Wide Receiver could set up if the Mahomes-lead Chiefs are forced to throw. Another simple QB-WR1-Opposing WR1 stack that you could run is paying down at QB and stacking Ryan Fitzpatrick – Michael Thomas and Mike Evans for the shootout at the Superdome. By running stacks in our optimizer in a matter of seconds we can generate dozens of teams that look like the one below — a pretty loaded up RB corps and game stacked passing game to go along with the rest of your roster. But perhaps the feature I am most excited about this year is our Advanced Grouping. Stacking in Mass Multi Entry tournaments is complex and requires a different approach for different players. With Rivers, I am comfortable pairing him with a solo receiver, but at Tom Brady’s Week 1 price of $7,200 he needs to put up 28+ DraftKings points and throw 3-4 touchdowns. If Brady delivers the passing statistics required to win a GPP at his price, then he will have multiple weapons who also put up big numbers. By utilizing advanced stacking, I can ensure that in any lineup with Tom Brady I include BOTH Rob Gronkowski and Chris Hogan. There is a ton to look forward to Week 1 of the NFL season. We’ll be releasing (for free!) a few toys for you to play around and get you excited for the NFL DFS season. All of the projections referenced above are Way Too Early Week 1 Takes and will change dramatically as training camp goes on. Join us at DailyRoto this NFL DFS season. It is going to be the best one yet.